Could you give an overview of the meeting which was held in Minsk? What kind of topics were discussed during the event? A.B. We decided to organize this meeting together with our Director Pharmacovigilance Martynas Juzėnas, because we wanted to strengthen the collaboration between PV team members in the region and to organise some training for them. We set the meeting venue and date to tie in with the training organised at the national competent authority. Therefore, during the first day of the meeting the whole team attended the event hosted by the Belarus Health Authority. 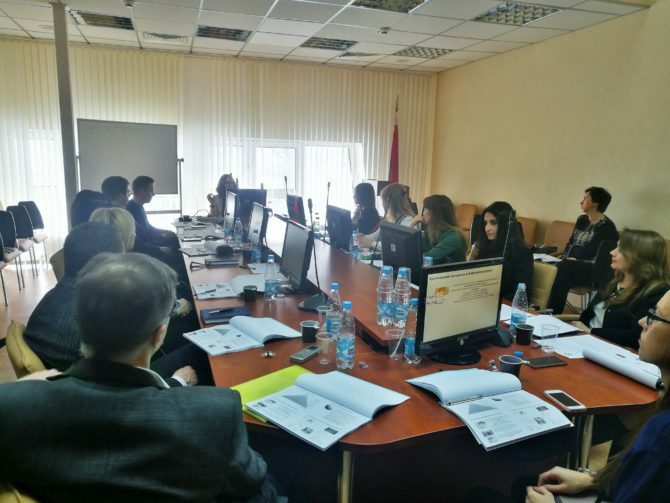 Representatives of the institution allowed us to increase our knowledge around global pharmacovigilance trends as well as local legislation changes, covering updates from Belarus and Eurasian Economic Union (EAEU) in general. Belarus Health Authorities are actively involved in the development and maintenance of EAEU GVP, so it was an opportunity to discuss relevant topics, insights and issues with the attendees. On the second day of the meeting we discussed more internal topics such as training compliance, local literature review processes, project management and other general questions. We also covered the review of our Key Performance Indicators. The results are very positive so far. We are always looking at ways to make our work even more efficient. In your opinion, what was the main benefit for Biomapas PV team from this meeting? What was the main purpose? A.B. The interest of pharmaceutical companies in expanding business across CIS has been constantly growing. This region together with Georgia and Mongolia covers 13 countries with over 290 million people. This population count makes CIS an exceptionally appealing market for pharmaceutical business. However, CIS is still an emerging market in regards to global pharmaceutical standards, so it is not a secret that in some countries pharmacovigilance and its requirements are still under development. Since Biomapas is actively expanding its services in the region, we are keeping up to date with all new legislation that comes into force and train our employees on the newest industry trends. So the main purpose of this meeting was to gather together the Biomapas PV team from the different countries and exchange experiences of daily routine while managing all pharmacovigilance-related queries. There is no doubt that every participant gained knowledge from their colleagues who were sharing their local practices. It also helped to expand their view on the regional and global pharmacovigilance trends, while the lectures related to legislation covered different countries. During the event organized by the Belarus Health Authorities, we also had an opportunity to share our concerns related to daily activities and get some feedback how to improve our internal processes. 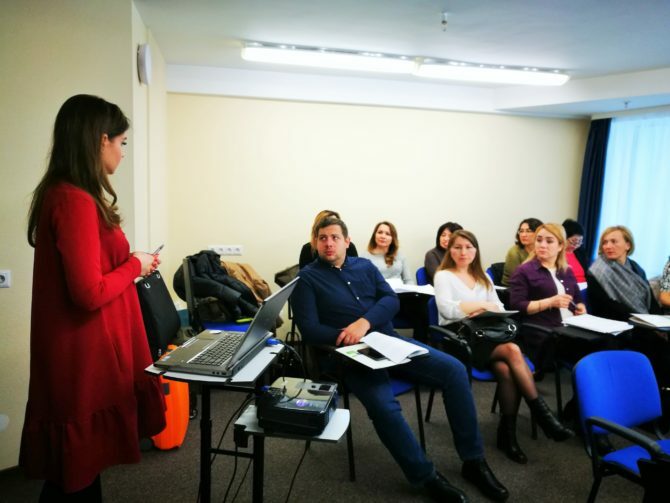 The experts from the authorities explained many different peculiarities very professionally and with high competence through the perspective of legislation. What are the main changes and updates in Belarus and Eurasian Economic Union in regards to GVP legislation? A.B. In 2014, EAEU was established, which in a way seems similar to the European Union. The current member states include Armenia, Belarus, Kazakhstan, Kyrgyzstan and Russia. EAEU has harmonized their pharmacovigilance requirements throughout all member states. Meanwhile, it is important to highlight, that EAEU GVP is not fully implemented across the whole region to date. Before the new GVP came into force, with the exception of several countries, no local point for Pharmacoviligance contact person or Qualified Person for Pharmacovigilance were required, as well as no local literature screening was required by the national regulations. However, even now Period Safety Update Report submission times still vary between the countries, and it may differ from the EU timelines for specific products. To date, since there is no unified EAEU PV database, local serious listed individual case safety reports originating from one of EAEU countries, should be submitted to other EAEU member states. There are a lot of discussions about the EAEU Pharmacovigilance System Master File (PSMF). The message that we have received from Belarus Health Authority was that it to be considered as some kind of Addendum to the main PSMF. This means that EAEU PSMF will not be a separate document required in the union, but rather the same one with some specific updates. As for the Belarus GVP, that is effective since 2015, it will be fully harmonized with EEU GVP in the near future. Also, it concerns the requirements for the EAEU QPPV, who according to the regulations must live and work in one of the EAEU member state. What are the main challenges after the new GVP legislation came into force? How does that affect Marketing Authorization Holders? A.B. Even though new legislation came into force about a year ago, not every procedure works smoothly yet. One of the challenging legislative aspects, which was not present before, is that QPPV should be physically located in the EAEU. Since the market is quite young it is really difficult to find reliable and experienced experts in the field. Moreover, there are no specific training programmes within the union, which can provide comprehensive knowledge and properly train a person assigned by the MAH to become the EAEU QPPV. There are only a few PV courses giving some measure of GVP related knowledge. Lastly, what was the feedback from your team after the meeting? A.B. I am very happy, that after the meeting we received very positive feedback. Right after the event, professional and emotional satisfaction was expressed by my colleagues. I believe that such meetings, when there is a possibility to meet multicultural team members from different countries and backgrounds, and eventually discover who is behind the e-mail address, strengthen the bonds and makes the teamwork way more efficient. Also, a cultural aspect cannot be forgotten. Warm and close communication is one of the essential parts of the successful collaboration in most of the cultures across CIS, so it was extremely important to gather all colleagues in one place, who are usually spread all over this large region. To sum up, I would like to express a great gratitude to every participant as well as to all my colleagues who were involved in organizing this meeting. 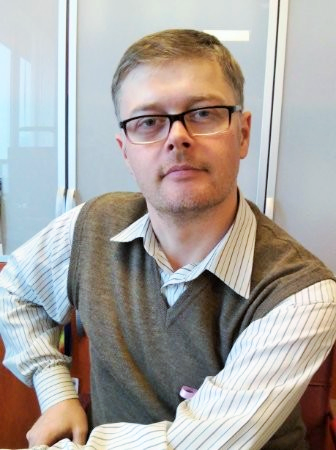 Thank you Aliaksandr for very warm and informative conversation!